In bottom of large bowl, beat all vinaigrette ingredients with wire whisk until thick and creamy. Add all salad ingredients. Toss to coat. If desired, garnish each plate with additional fresh parsley. Serving Suggestion: Line 7 salad plates with lettuce leaves. Top with salad, about 1 cup each. 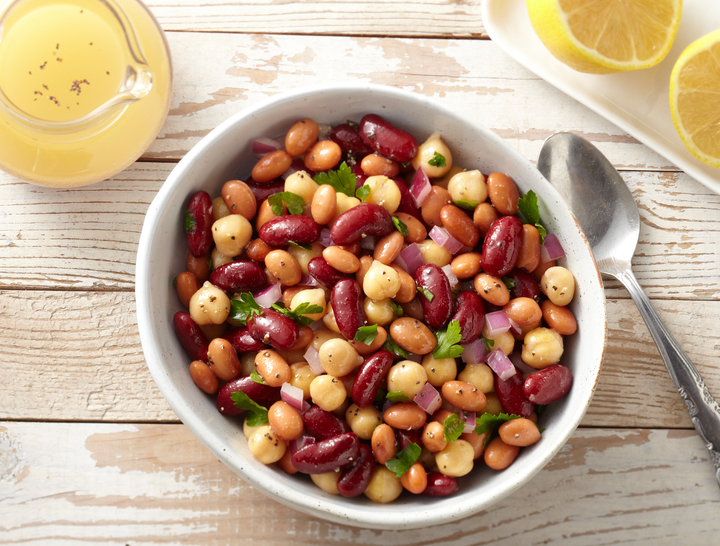 Tip: Any varieties of S&W® Beans can be used in this salad. You could substitute purchased reduced-calorie vinaigrette for the homemade vinaigrette.